As a devoted advocate and educator for children with special needs, Melanie Young has had the privilege of providing individualized instruction for over twenty years. Melanie has a broad range of experience spanning from preschool special education to transition. She is passionate about developing individualized programing to best meet each child’s needs. Additionally, she is invested in promoting each child’s unique educational needs and rights. This comprehensive approach includes working collaboratively with the multidisciplinary team to assure each child’s needs are met. Melanie’s meticulous focus on understanding the full scope of a child’s abilities guides her own ability to provide compassionate, informative education and consultation to families and educators in either public or private school milieus. Melanie is dedicated to continued education to provide the best quality of services and to support her PA teaching license. Melanie’s career began when she acquired her PA teaching certification in both elementary K-6 and special education K-21. While teaching in the elementary and middle public school setting as a special education teacher, she earned her graduate degree from the George Washington University specializing in special education transition. During this time, Melanie attended congressional hearings that sought to improve the lives of individuals with special needs. She volunteered at the Heath Resource Center, a national clearinghouse on postsecondary education for individuals with disabilities. Upon marrying and beginning a family, Melanie relocated to Chester County, PA. There she worked for the Chester County Intermediate Unit as a Preschool Service Coordinator for West Chester Area School District. After the birth of her first child, Melanie began working part time as a tutor for Katherine Miller Tutoring and Educational Consulting. She tutored and advocated for children with special needs with a range of skill and ability. Last October, Melanie completed the Wilson Reading Certification program, which led to the development of her private tutoring company, teaching individuals with dyslexia, Young Literacy Connection. 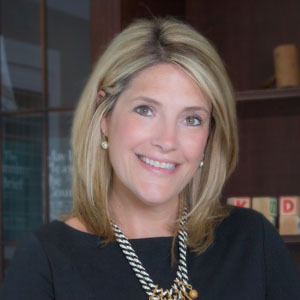 Within her work in Chester County Melanie has provided direct instruction and supportive care to individuals, families, educators and other educational professionals. When not working, Melanie loves spending time with her husband, Taylor, their three children and two dogs. She is an active member in her community and is impassioned about serving her community through many outlets including: leading a Girl Scout troop for five years, work at the Chester County Food Bank, gathering supplies for the local police department and SPCA, participating in activities with senior living residents, and volunteering for her children’s elementary home and school associations and is active as a homeroom mom.